Hallucinogens are potent substances of abuse that distort reality and play games with the senses, emotions and behavior. They create mental and sensory illusions (hallucinations) and may alter perception of self, place and time. The effects can be highly intense, unpredictable and sometimes frightening. Hallucinogens, or psychedelics, include LSD, psilocybin, mescaline, PCP, salvia and others, according to the National Institute on Drug Abuse (NIDA). The hallucinations these psychoactive or "mind-expanding" drugs cause can start within minutes, change repeatedly and end a few hours later. While under the influence, the user's internal and external worlds are distorted and he is disconnected from his usual reality. The drug diminishes his state of consciousness so while on this psychedelic "trip" he is usually powerless to control the distortions his mind creates. Drugs such as LSD are synthetic substances made in a lab. Others, like psilocybin, occur naturally in botanicals such as plants, fungi, cactus and mushrooms. Botanicals can be consumed directly from the natural sources or the active substances are extracted and made available in several other forms. Hallucinogenic mushrooms, cactus and other botanicals have been consumed for thousands of years by indigenous people in South and Central America, the United States and other parts of the world for religious, social and cultural reasons. Use of the substances as recreational drugs exploded during the early 1960s, particularly in the United States. This was driven by publicity of LSD and other hallucinogens by disciples such as Timothy Leary of Harvard University. This led to severe restrictions on production and use of these drugs and limited their use in psychiatry and research. Of particular current concern is their potential for abuse among teens. Hallucinogens cause multiple major sensory illusions and emotional, psychological and physiological disturbances. 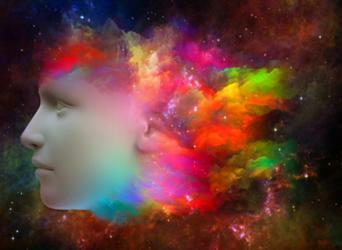 LSD is considered the prototype drug by which to illustrate the effects of these substances. The creator of LSD, the Swiss chemist Dr. Albert Hoffman, describes in detail the effects of LSD and other drugs in this class in his book LSD, My Problem Child. There can be wide and ever-shifting mood and emotional swings. These changes and lack of control over them can trigger psychosis, such as schizophrenia, in a susceptible person. Some of these uses and research have been hindered by the difficult history of these substances in the 1960s and by federal regulations. Since 2000 there is renewed research efforts on psilocybin and other hallucinogens. The duration of a "trip" varies from drug to drug. With some drugs such as LSD, when the trip is over, a user can usually resume his normal activities. Some drugs do not appear to impair memory so the user can often describe the experience afterwards. People rarely die directly from an adverse physiological effect of a hallucinogen. Deaths mostly occur because of distortion of judgement, inhibition and perception and from feelings of invincibility. For example, people have been known to jump out of windows or walk in front of a car. In addition, the variability of the contents of the drugs on the street and the unpredictability of the effects is mostly what makes some hallucinogens dangerous. The effects of drugs of this class are usually over within hours and rarely cause a hangover the next day. However some drugs cause flashbacks of the experience days to years later. A few substances such as PCP can cause addiction but others such as LSD, mescaline and psilocybin are not addictive and do not lead to mental issues, according to a 2013 review in the journal PLOS One. Despite the low potential for physical addiction for some of these drugs, and in spite of unpleasant and disturbing effects, people abuse them for the "experience." With repeated use of these substances, people can develop tolerance and require higher and higher doses of a drug to produce an effect. In addition, tolerance to one drug can lead to cross tolerance to another in this class of substances but not to other addictive drugs such as heroin or cocaine. Hallucinogens appear to exert their effects primarily in higher brain centers to cause the brain to perceive a different reality. How they do this is not certain but it is thought that they disrupt normal transmitter signals between nerves in the brain and in the spinal cord. Some drugs like LSD resemble the neurotransmitter serotonin and bind to serotonin receptors on nerve cells. It is not clear that this is the only mechanism of their action, however, because derivatives that don't cause hallucinations can also bind to serotonin receptors. Some drugs may act through other receptors such as those for glutamate, dopamine and opioid. The most commonly known hallucinogens share a similar alkaloid ring with LSD, which can explain their similar actions. Others that have different chemical structures may vary from LSD in some parts of the experience. LSD (also commonly known as acid) is d-lysergic acid diethylamide, a synthetic compound of lysergic acid. Lysergic acid is extracted from ergot alkaloids contained in a fungus found primarily on rye wheat. It is the most powerful synthetic hallucinogen available with effects seen at miniscule doses. LSD is available in liquid and as tablets and gels or absorbed on blotting paper which is cut into dose size. The liquid is stable when protected from light but other forms deteriorate quickly and lose effect. Mescaline is the active ingredient in the peyote cactus. The cactus has been used in its natural form for centuries in religious ceremonies by indigenous groups in Mexico and in the southwest United States. The tops of the cactus called "buttons" are dried and chewed or soaked in water or brewed as a tea and drank. Peyote can also be ground as a powder and smoked. There is no evidence for adverse physical or psychological effects on indigenous groups after years of use. Onset of effects occur within 30-60 minutes. Effects can last for 12 hours. There is no evidence drug craving among past users. Psilocybin is the active substance in "magic" mushrooms found in the tropics of Mexico, Central America and the United States. These mushrooms have been used by indigenous people in these locations in sacred ceremonies to induce visions. The bitter mushrooms are eaten fresh or dried, or brewed as tea, or added to foods according to the U. S. Drug Enforcement Administration (DEA) fact sheet. The effects start quickly after use and last 4-6 hours. Can cause drowsiness, nausea, vomiting and muscle weakness. Causes difficulty with motor control of limbs. User can develop panic and psychoses with large doses. Flashbacks and memory loss can occur. No evidence of drug craving or seeking, but tolerance can develop. Studies show that psilocybin is of low toxicity with little potential to cause physical harm. According to a 2011 study in Psychopharmacology, psilocybin can lead to lasting positive effects on mood and behavior. PCP (phencyclidine), otherwise called angel dust, was developed as a general anesthetic in 1950s. It was discontinued in 1965 because people had frequent side effects, such as agitation, delusion and irrational behavior while recovering from anesthesia. PCP is a dissociative drug which disconnects other brain functions from the conscious mind and can produce an "out-of-body" experience. Salvia divinorum (Salvia or Ska Maria Pastora) is the most potent naturally-occurring hallucinogenic substance. It is a plant of the mint family found in southern Mexico and Central and South America. According to Scientific American, Salvia divinorum has been used for centuries by natives in Mexico in religious and visionary ceremonies where people chew the leaves or drink the extracted juice. In modern uses, the leaves are also dried and smoked, or made in a tincture for drinking. Like PCP, Salvia is a dissociative drug. Analysis of the plant in the late 1980s showed that the active substances in Salvia are terpenoids, related to alkaloids, and appear to act by binding to opioid receptors. Is not addicting and there is no craving or drug seeking. Loss of speech can occur. Lack of coordination can occur. There are no withdrawal symptoms. According to the Scientific American article, because of binding to opioid receptors and improved mood, Salvia may prove useful for treating pain, depression, psychoses and addictions. Dextromethorphan (DXM) is an ingredient in over-the-counter cough-suppressant medicine; it is not a hallucinogen at normal therapeutic doses. However, hallucinogenic effects can be seen when taken at larger doses. Like PCP, DXM is a dissociative drug and disconnects conscious thinking from other brain actions. According to the Drug Enforcement Administration (DEA) is often abused by teens to get high because it is so easily available. Ketamine is used mainly as an anesthetic for humans and animals and is often stolen from veterinary offices. According to the University of Maryland, ketamine is also a dissociative drug whose effects are similar to those PCP but are of shorter duration. Ketamine comes in liquid form but is usually dried to a powder and inhaled or made into a pill. It is tasteless and causes amnesia and has been used to spike the drinks of unwitting sexual assault victims. MDMA (3,4 methylenedioxy methamphetamine), also known as Ecstasy, comes in pills or capsules and is similar in effects to mescaline. According to the National Institute on Drug Abuse (NIDA) description, in addition to its hallucinogenic effects it causes increased energy and warmth and empathy to others. This can often lead to inappropriate sexual attachments. MDMA is a common substance of abuse by teenagers. The DEA states that it is often used in a cocktail of other drugs that can lead to other dangerous effects and lead to death. Short-term treatment of unpleasant effects of hallucinogens includes a supportive, quiet environment until the drug wears off. Though substances such as LSD don't cause a physical addiction, repeated use may lead to a behavioral desire to experiment further. Users who are driven by impulse to repeat the experience might benefit from behavioral therapy. Long-term treatment of addictive substances such as PCP includes a combination of behavioral and psychotherapy, according to a NIDA review. Mind-altering drugs are potentially dangerous because they cause a user to lose control over mind and body and his judgement can be distorted. People who dabble with these substances should take care that this does not lead to chronic use. In addition, though some of these substances are not addicting, they may encourage experimentation with addictive drugs in other classes that are more dangerous.